Jake prefers Arby's or McDonald's while on the road. If you are on the road, fixing a meal for your dog may be difficult. Unless your furkid likes dry food alone, you may have a problem. If your dog has a sensitive stomach, you may need to pack some boiled hamburger or chicken in a cooler. Jars of baby food chicken, turkey, lamb or beef might work for you. Do not buy the baby food with meat and vegetables. You will waste your money. Some dogs are sensitive to water changes, so you may have to fill some containers with your tap water. I pulled into an Arby’s. Jake and I had dinner in the parking lot. I didn’t get a combo either. 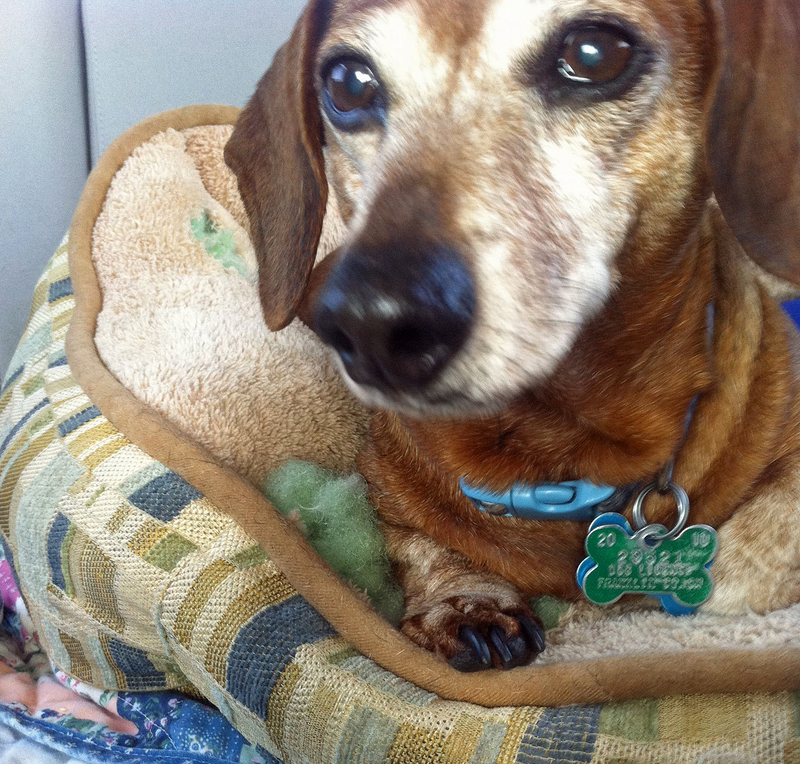 This entry was posted in Dachshunds, Dog Food and tagged Dachshunds, dog food, Traveling. Bookmark the permalink.